Friday..Pacha Ibiza, Carlos Jurado presents FUDE! 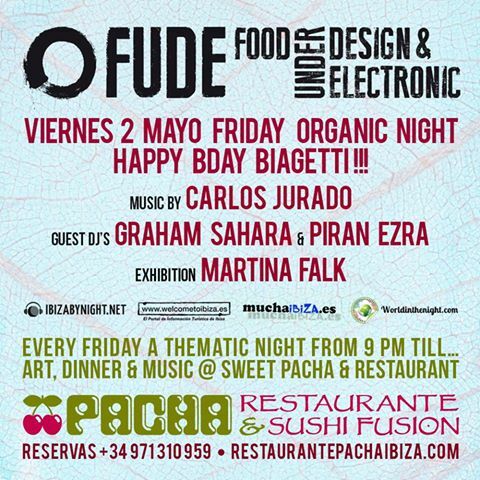 Friday 2nd of May, starting at 21,00, in the elegant atmosphere of Pacha Ibiza, a disco club that’s a legend worldwide, Carlos Jurado presents the new episode of FUDE (Food Under Design & Electronic) the successful dinner-show..that during winter and spring, week by week, has became “the Ibiza’sparty” of Friday night! Every week Fude is dedicated to a new gastonomic theme and presents a different menu plus elegant music..and now, before the summer 2014 in Ibiza..it’s time for the last spring parties!! This week will be celebrated the “Organic night”! In consolle will play “The doctor” Carlos Jurado and guest Dj’s will be Graham Sahara and Piran Ezra! But, don’t forget, Fude is not just excellent music and food…during the night there will be an exhibition of Martina Falk! The r.r.p.p. of the event will be by Daniela Biagetti.. and will be also celebrated her B-day! Here you have the poster of the event with all the details and the contacts! Ibiza by night is proud to be media partner of the event! Job opportunity in Ibiza at Ushuaia! A new casting next 9th of May! 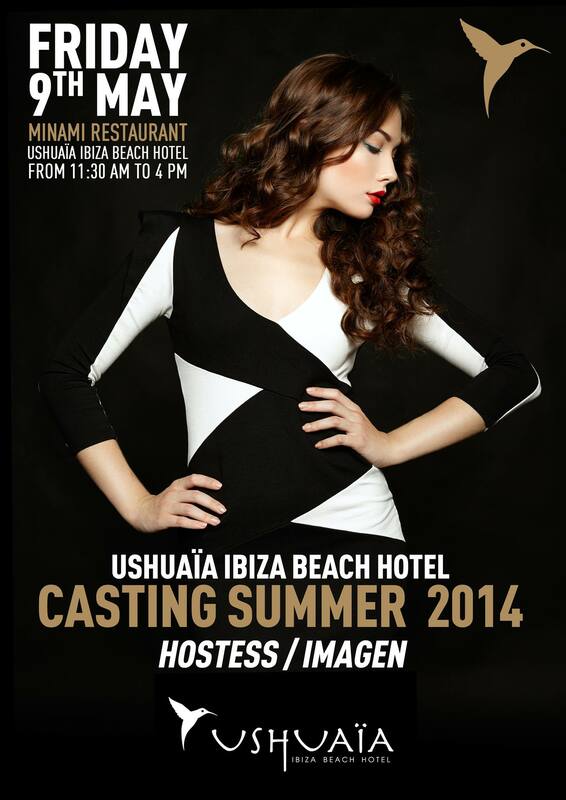 Ushuaia Ibiza beach hotel has announced yesterday a new casting next Friday 9th of May at Minami restaurant (just outside the hotel in Playa d’en Bossa)from 11,30 AM to 4 PM. The positions offered are for Hostess/ Imagine. If you dream is to find a job in Ibiza.. Ibiza by night wish you good luck! And don’t forget to read our disclaimer!! Please DON’T SEND US CV!!! Ibiza by night isn’t a job agency and isn’t involved directly or indirectly in any casting. Ibiza by night doesn’t receive any economical advantage or profit from castings. Ibiza by night doesn’t assume any responsability for the job opportunities published on these pages. The job opportunities are offered directly from the employers. For further informations contact directly ONLY the organizers of castings at mentioned mail addresses and, please, don’t send us CV or more information requests because of we can’t help you. Ibiza by night no organiza ningùn casting y no ofrece ningùn trabajo. Ibiza by night no tiene nada a que ver ni directamente ni indirectamente en los castings y no gana nada sobre los casting y oportunidades de trabajo en Ibiza y en el mundo que publicamos. Ibiza by night no tiene ninguna responsabilidad sobre las ofertas de trabajo en Ibiza que se publican. Cortesmente contacten directamente a los que ofrecen el trabajo. No nos envien a nosotros CV y no pidan informaciones porque no podemos ayudarlo. Ibiza non organizza alcun casting e non offre alcuna posizione di lavoro. Ibiza by night non ha alcun rapporto diretto indiretto con le offerte di lavoro a Ibiza (e nel resto del mondo) e non riceve alcuna utilità economica dai casting. Ibiza by night non assume alcuna responsabilità circa le opportunità di lavoro ad ibiza pubblicate. Cortesemente contattate DIRETTAMENTE gli indirizzi indicati nelle offerte di lavoro e non mandateci CV. 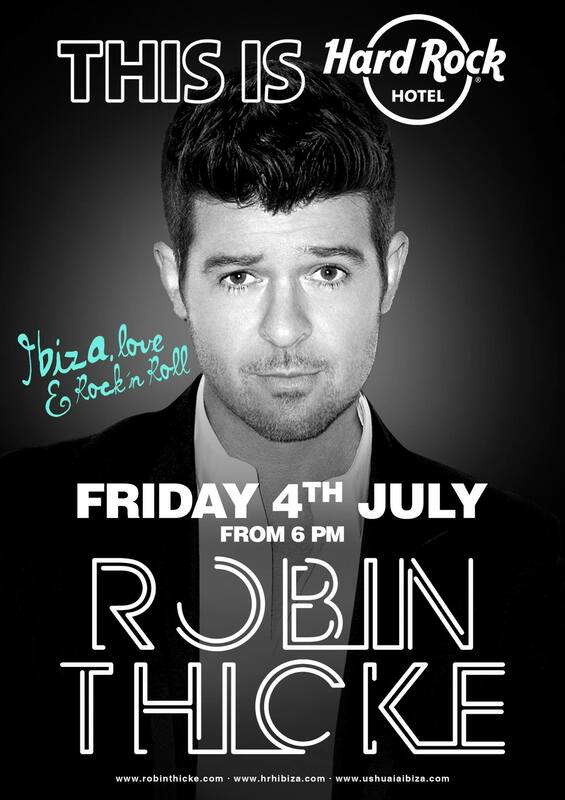 Hard rock Hotel Ibiza announced the concert of Robin Thicke! Hard rock Hotel Ibiza, the new cool location of Playa d’En Bossa, after the one of Chic featuring Nile Rodgers, has announced a new one important concert: Robin Thicke will play in Ibiza next 4th of July! And the party will start at 6 p.m.!! Here you have the poster of the event. Ibiza by night will follow to update you! 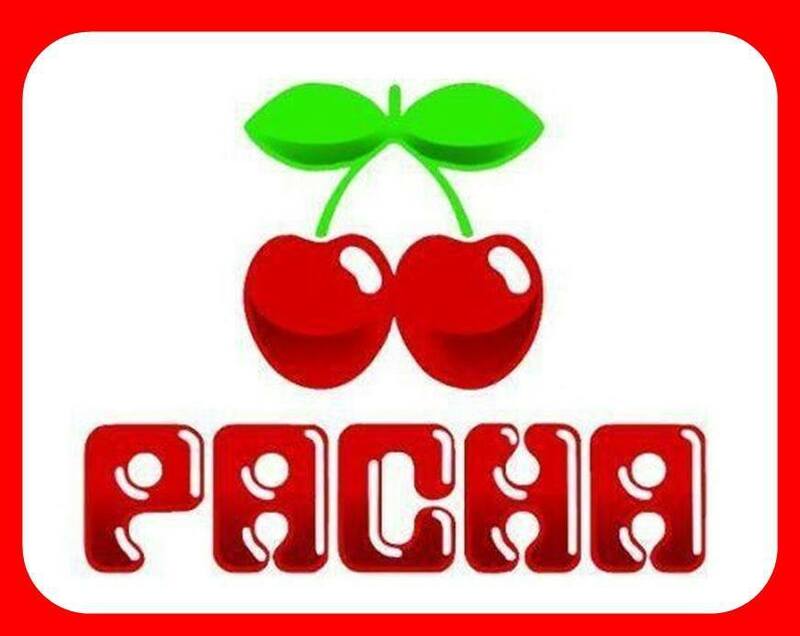 Pacha Ibiza..the complete program of May! This is complete monthly program of Pacha Ibiza for May 2014! 9th of May a great event!! Ready for a great month of May? 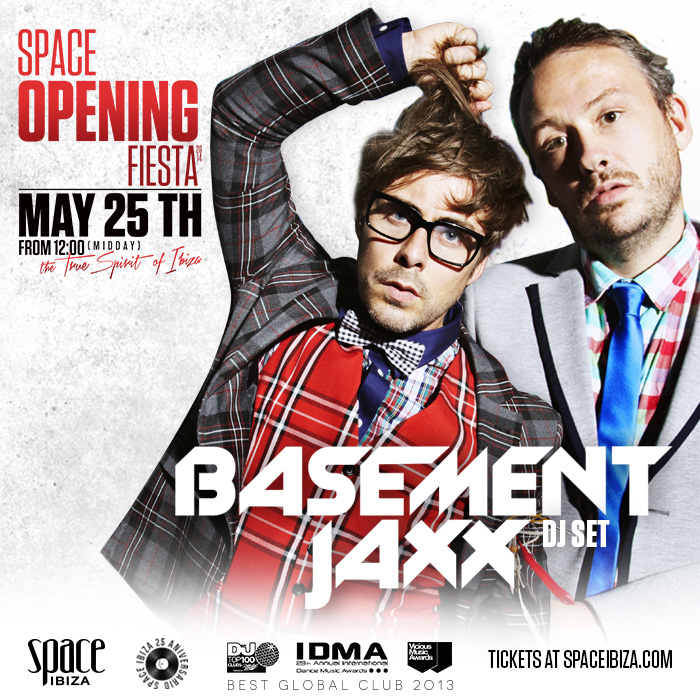 Space Ibiza presents Basement jaxx for the opening party! The countdown for the opening parties is running… and Space Ibiza has updated the line up! Next 25th of May Space Ibiza has organized an opening party that presents many big names like Deep Dish, Chemical brothers and Nina Kraviz! Today was announced the partecipation of Basement Jaxx! Ibiza by night will follow to furnish you more informations about the cult disco club of Playa d’en Bossa! 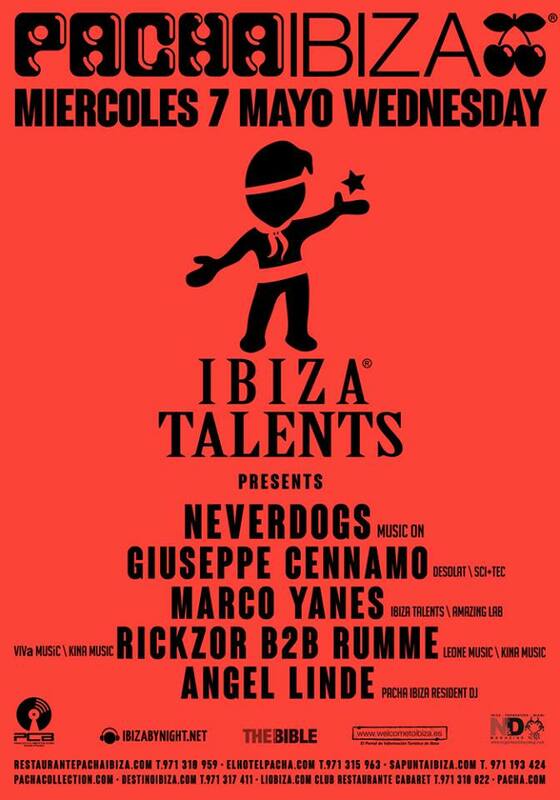 Wednesday 7th of May, Pacha Ibiza, Davide Avallone presents Ibiza Talents with Neverdogs, Giuseppe Cennamo, Marco Yanes, Rickzor b2b Rumme! Wednesday 7th of May “Ibiza Talents” returns at Pacha Ibiza! The show created and managed by Davide Avallone – after the success of 2nd anniversary party – will present a new and excellent line up! Wednesday 7th of May will play Neverdogs (Music on), Giuseppe Cennamo (Desolat + Sci+Tec), Marco Yanes (Ibiza Talents- Amazing Lab), Rickzor (Viva Music/Kina Music) b2b Rumme (Leone Music/Kina Music) and Angel Linde (Pacha ibiza resident Dj). Davide Avallone said to Ibiza by night: “I am so happy to celebrate the second anniversary of Ibiza Talents, I was out of Ibiza all the winter so it would be a good opportunity to celebrate and to see all my good friends that always support me. I believe strongly in this project and in this two years I always tried to be different and original, especially in the musical aspects. I always focused “Ibiza talents” on emerging dj’s and producers… And.. because of I organize the event all by myself..it’s also a good opportunity to show my real value”. Save the date, because of it will be a night of great music and Ibiza by night is happy to be media partner of the event! 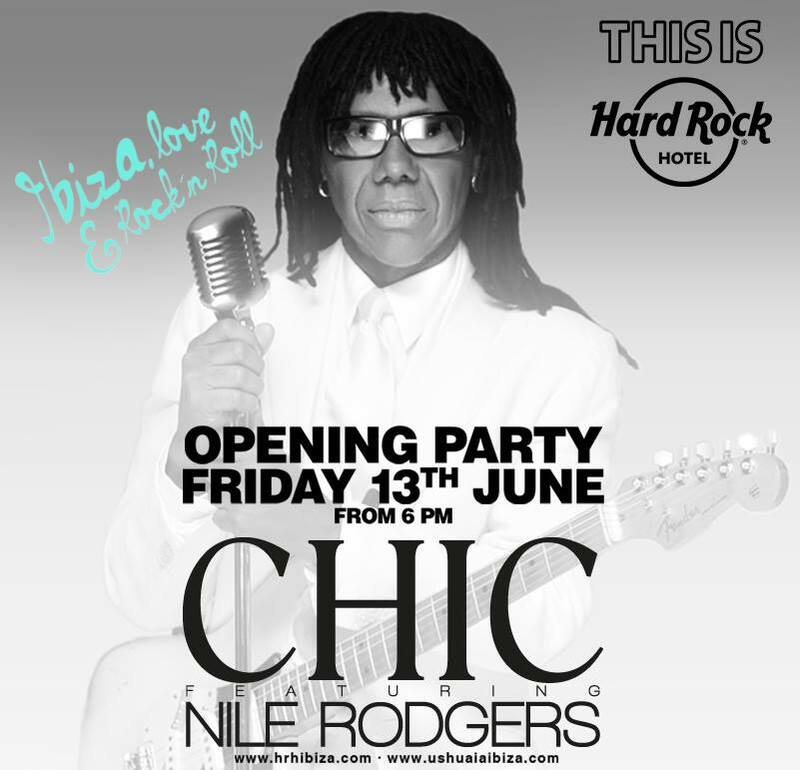 Hard rock hotel Ibiza announces Chic featuring Nile Rodgers for the opening party! Hard rock hotel, that’s the most expected news for summer 2014 in Ibiza, has announced the opening party, next 13th of June..with Chic featuring Nile Rodgers! Nile Rodgers is much more than a succesful musician and producer, he’s a global musical icon and Chic are the legend of Funky and disco music.. so the adventure of Hard rock hotel Ibiza starts with an unmissable opening party ! This will be just the first of many important events in the new prestigiuous location of Playa d’en bossa! Here you have the poster of the event,..and the party will start at 6 pm… Ibiza by night will follow to update you!